Website Hosting & Services: Clients are required to set up an annual payment with Amateur Equestrian, LLC at the time their hosting begins. The credit card on file will be automatically renewed on the same day each year for the client hosting. It is the client’s responsibility to make sure the credit card on file is up to date. Any issues with payment failure could result in hosting being shut down, and all website data being lost. There is a one time 30 day grace period on late payments. The same policy applies for SSL certificates, email plans, and website domain renewals. Client is 100% responsible for annual charges unless they send a letter of cancellation notice by email to info@amateurequestrian.com. Marketing Services: Marketing services hired on monthly contract will be billed at the beginning of the month. The client has 30 days to submit payment by direct deposit or check mailed to Amateur Equestrian, LLC, 14104 Bainbridge Way, Freehold, NJ 07728. Payments more than 30 days late are subject to a 5-10% late fee. Flat Rate Marketing/Web/Design Services: Clients are sent an invoice to pay 50% of the project cost upfront, and the final amount within 15 days of project delivery. Returned Check: Clients are 100% responsible for fees incurred by Amateur Equestrian, LLC due to bounced checks, charge backs or returned checks. 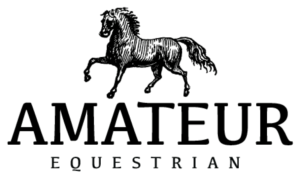 Website Hosting: Clients can cancel website hosting at any time by mailing written notice to info@amateurequestrian.com. No portion of the hosting will be prorated, however, the hosting account will stay active until its expiration date, unless the client wishes to have their website taken down sooner. Monthly Marketing Services: Clients may cancel at any time, however, clients on monthly contracts are responsible for giving Amateur Equestrian, LLC a 30 day notice of cancellation or budget/retainer changes in writing. If notice is not given in advance, the client is responsible for the additional final month’s invoice. Website Design & Hosting: Refunds on annual hosting are available only if production on the client/customer’s website has not started. After the website is in production and has been launched, there is no refund on the annual hosting. Marketing & Graphic Design Services: After marketing or graphic design services have begun, there are no refunds available. If the project takes less time then anticipated in a quoted retainer, the client/customer will be refunded/pro-rated the unused portion of their payment. Custom Orders: Refunds are available on the order of custom products for up to 14 days after initial payment date, as long as production on the order has not started. No refunds are available for custom products ordered from the website once production has begun.